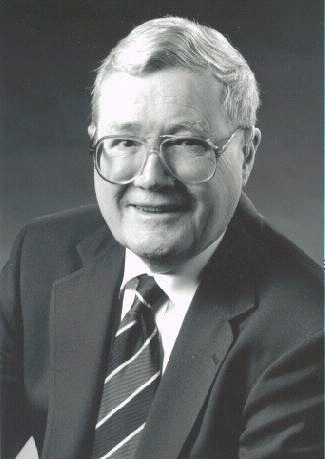 As a professor of law and economics, Gordon Tullock brought the experience of a rich and varied professional career with him to George Mason University and the Mercatus Center. He was a member of the United States Foreign Service from 1947 until 1956, serving in China, Hong Kong, and Korea. He was a postdoctoral fellow at the Thomas Jefferson Center for Political Economy at the University of Virginia and a member of the faculties of the University of South Carolina, the University of Virginia, and Rice University, as well as a University Distinguished Professor at Virginia Polytechnic Institute and State University. Professor Tullock was the Holbert R. Harris University Professor at George Mason University from 1983-1987 and was the Karl Eller Professor of Economics and Political Science at the University of Arizona prior to joining the faculty of George Mason School of Law. He is a member of and has held offices in a variety of professional associations and has been the recipient of numerous honors over the course of his career. Professor Tullock was the first recipient of the Lastly T. Wilkins Award, received the 1992 Frank E. Seidman Distinguished Award in Political Economy, and was presented with the 1993 Adam Smith Award. In 1996, Professor Tullock was named a member of the American Political Science Review Hall of Fame and also was honored with an Award for Outstanding Contributions in the field of law and economics by George Mason University School of Law. In January 1998, he was made a Distinguished Fellow of the American Economic Association. From founding the Public Choice Society, he has been a member of the Board and is a past president. He is also a past president of the Western Economic Association and the Southern Economic Association. He is a member of the American Academy of Arts and Sciences, Association of Asian Studies, the Mont Pelerin Society, and the usual collection of economic associations. Professor Tullock received his education at Yale University (Chinese, 1949-1951), Cornell University (Chinese, 1951-1952), and at the University of Chicago Law School (JD, 1947). He was awarded an honorary doctor of laws from the University of Chicago in 1992. He also holds honorary doctorates from Basel and Universidad Francisco Marroquin.